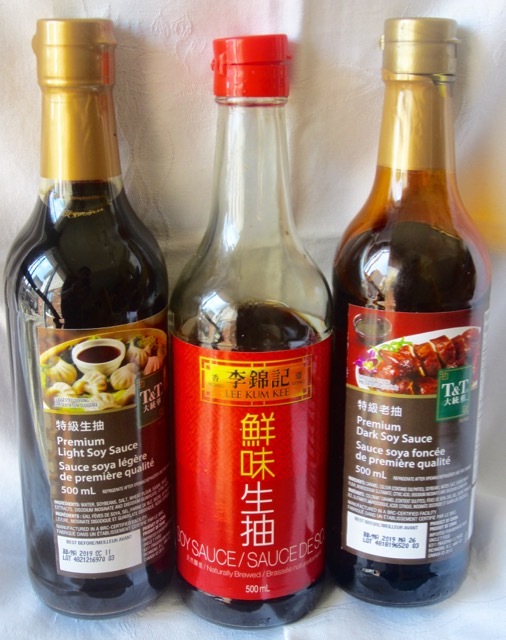 What is Soy Sauce (Soya Sauce)? A strong tasting brown and salty sauce made with fermented soybean (soya bean), used in Chinese, Asian and Japanese cooking. Other ingredients include water and barley or wheat flour. 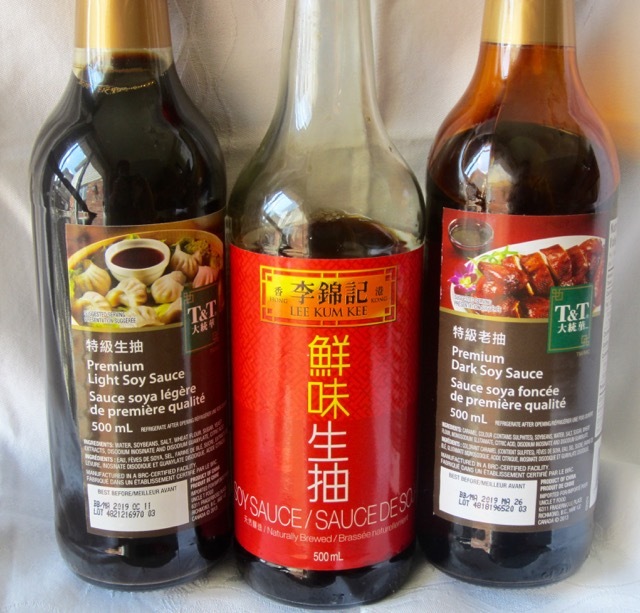 There are many types and brands of soy sauce and they vary in colour, consistency, strength and flavour. The soy sauce may be light and thin and more salty or dark ,thicker and richer in flavour. Typical ingredients include: Caramel colour, soybean, water ,salt, sugar, wheat flour, monosodium glutamate, citric acid, disodium 5-inosinate, disodium 5-guanylate, sodium benzoate.